With its elevated driving position and rugged looks, the Volvo XC70 is a car for motorists who are always thinking about the next adventure. Well-equipped with a spacious interior, it's a model that loves nothing more than seeing the tarmac run out. 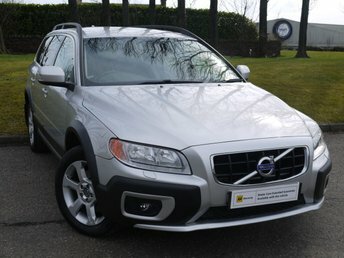 Arrange to take a test drive in one of the used Volvo XC70 models for sale in Broxburn by contacting a member of the team at John Kilkenny Cars Broxburn Ltd today. Our friendly experts will always be on hand to provide a warm welcome and will offer advice and guidance to ensure you find the right vehicle to suit your requirements. Finance is available to UK residents aged 18 years or older, subject to status. Terms & Conditions apply. Indemnities may be required. Other finance offers may be available but cannot be used in conjunction with this offer. We work with a number of carefully selected credit providers who may be able to offer you finance for your purchase, commission may be received. We are only able to offer finance products from these providers. Postal Address: John Kilkenny Cars Broxburn Ltd, 4 Goschen Place, West Mains Street, Broxburn, West Lothian, Scotland EH52 5JX. Find contact details here.